Pay Per Click also known as PPC is the most effective way to get short-term and immediate traction in the digital marketplace. You essentially pay the search engines to show up on the first page of the search results and pay the search engines every time someone clicks on your ad. Why Do I need to do Pay Per Click? If you are a small business you need Pay Per Click services because it provides instant page one rankings which automatically evens the playing field between you and the large corporations who are often times monopolizing your market space. If you are a large corporation you need Pay Per Click because it allows you to take a national and even international market share almost over night. A proper Google Adwords campaign can be the life blood of almost any company and a proper PPC campaign can become one of your most crucial elements in your business. The best part is EVERYTHING is completely traceable. When we say everything we really mean that, Google will track all of your analytic’s including total impressions, clicks and conversions. Google is the most popular search engine in the world today, which is not a surprise to anybody. Google actually offers multiple “paid search” platforms you can utilize and leverage. Google Adwords is far and away the most popular paid search platform you can use, which is also why it is the most expensive “cost per click”. Google, Bing, Yahoo and other major search engines provide a fantastic inbound lead generation opportunity for anybody and everyone on a equal platform. 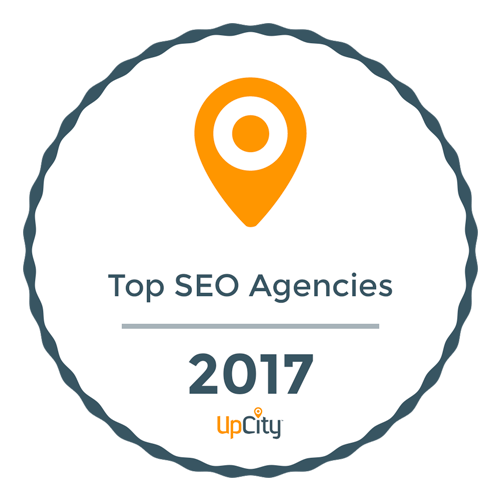 This marketing medium essentially allows companies both big and small to compete with each other for specific search terms. Essentially you tell the search engines which “keywords” you want to show up for. Once you pick what keywords you want your website to show up for you enter the maximum bid you are willing to pay the search engines for each time your ad gets clicked on by a user searching for that specific keyword. For example, if I was a dentist I would want to show up for the keyword “family dentist San Diego” and I am willing to pay $5.00 each time a person clicks on my ad. If 5 people clicked on my ad today, it would cost me a total of $25.00 for those 5 clicks. Why would I need a PPC company? Many of our clients have asked us, “why do we need a ppc company?” Although, what we wrote above is the core concept of a Pay Per Click campaign it then becomes very complex for the untrained marketer. How so you might ask? Because in every single category there is professional teams running your competitors PPC campaigns. The reason you need a professional ppc management company in San Diego is because we can make sure all of the complexities of your Pay Per Click campaign become very simple for you to manage and understand. Campaigns are designed so you can separate your main services into more manageable campaigns. Did you know you can target multiple cities, states and even countries? Did you know you can also choose when and where to display your ads and they can all cost different prices depending on those factors? Alright I get the point PPC can be complex but didn’t Google create Google Adwords Express for this same reason? Another great question! Google created Google Adwords Express to make it very easy for anybody to get started using there Paid Search Service, the set up is very easy and anybody can set the campaign up. However, there is some fatal flaws in Google Adwords Express. First, it is very, very limited in its customization. Adwords express only utilizes 1 of the 5 types of keywords we mentioned above, to nobodies surprise the keyword type they chose is the most profitable for Google, which is “broad”. The problem with broad match type keywords is that it will place your ad anywhere and everywhere it can to get you to spend more and more of your budget as quickly as possible, you can’t blame them because they know you are willing to pay but in order to get paid they need people to click on your ads! What better way to get people to click on your ads then to show it to anyone and everyone who types in any keyword that loosely resembles your original keyword. Here is an example: you are a plastic surgeon, you sign up with Adwords Express and choose plastic surgeon as your keyword which is logical. Well, with broad match Google is going to display your ad to people who not only type in “plastic surgeon” but also people who type in keywords such as “doctor” “how much do plastic surgeons make?” “plastic surgeon jobs” you can see how this becomes a problem. People are seeing your ad appear for these keywords and click on your ad even though they had no intention in ever calling your practice, this is WASTED spend and is costing you valuable resources every time these people click on your ad!